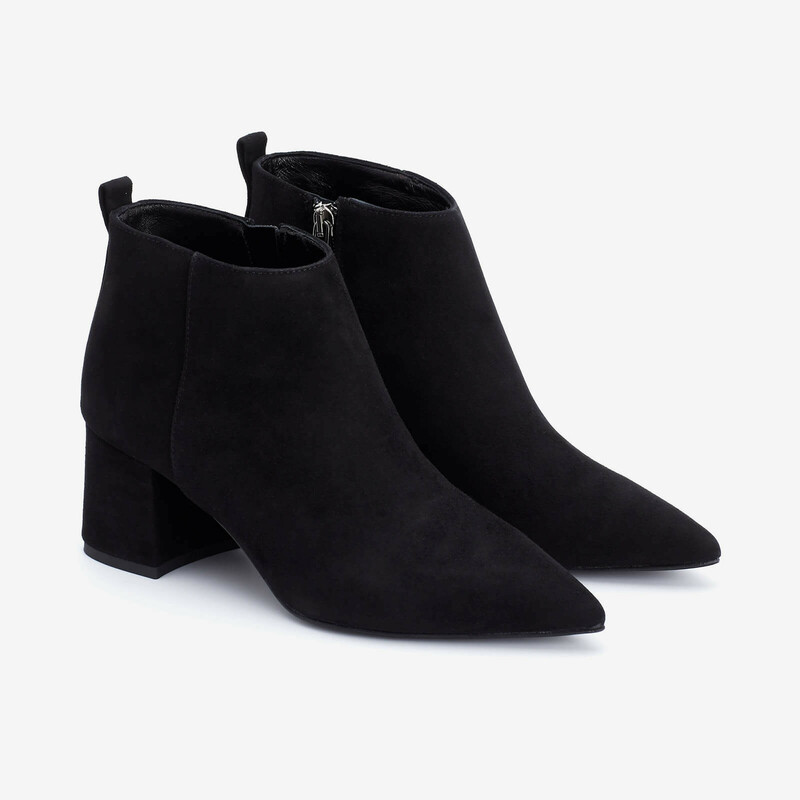 This minimalist bootie from Apair is the all day everyday bootie to have this fall! Beautiful streamlined profile and slightly ankled block heel gives a edgy look to this otherwise understated model. Made from black velvety suede. Zipper closure. Pull-tab at back. Brushed leather sole and coated heel. 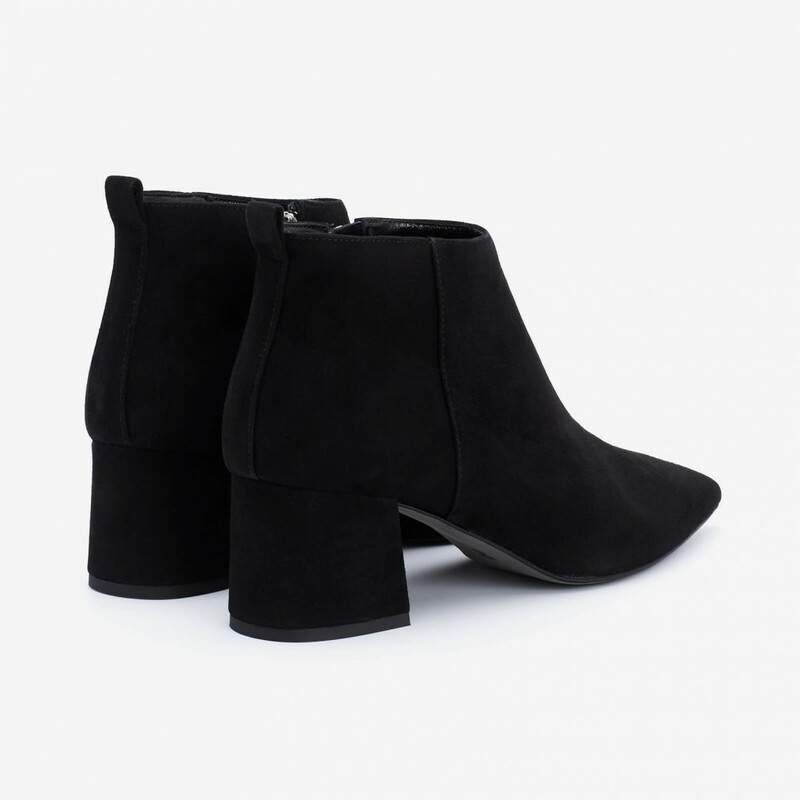 1 x Pointed Block Heel Bootie was added to your shopping bag. 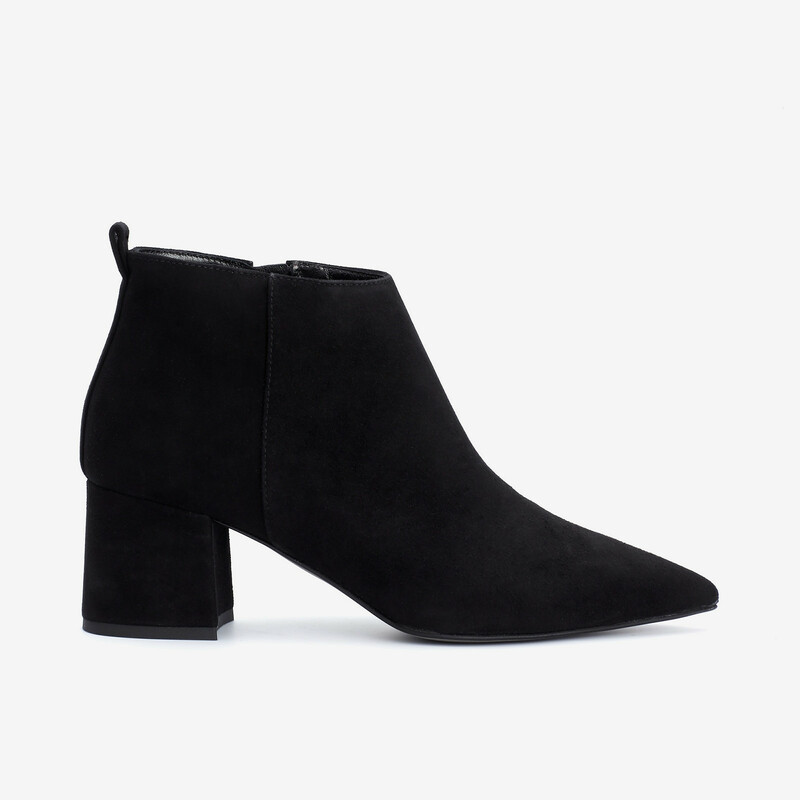 1 x Pointed Block Heel Bootie was added to your wishlist.